Basel Ghattas placed under arrest after losing parliamentary immunity. 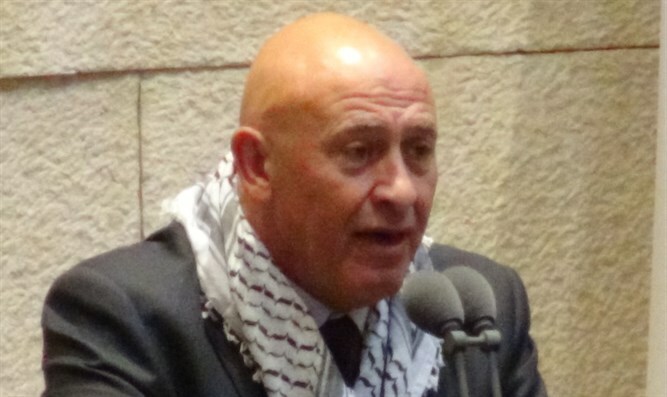 Less than a week following revelations that MK Basel Ghattas (Joint List) had provided material aid to jailed Hamas terrorists, police placed Ghattas under arrest, taking him into custody Thursday evening following the latest round of questioning. After initially denying the claims, Ghattas admitted to police on Tuesday that he had in fact smuggled cellular devices to Hamas terrorists being held in an Israeli prison, enabling them to continue directing terror operations from behind bars. Ghattas also carried messages on behalf of the jailed terrorists to and from their prison cells. Earlier on Thursday, Ghattas surrendered his parliamentary immunity, a day after the Knesset House Committee approved a resolution to strip him of his legal protection as a Knesset Member. According to a report by Channel 2, police investigators say the letters smuggled by Ghattas on behalf of security prisoners were not humanitarian or political in nature, as the suspect has argued. Rather, say authorities, the messages were terror-related.